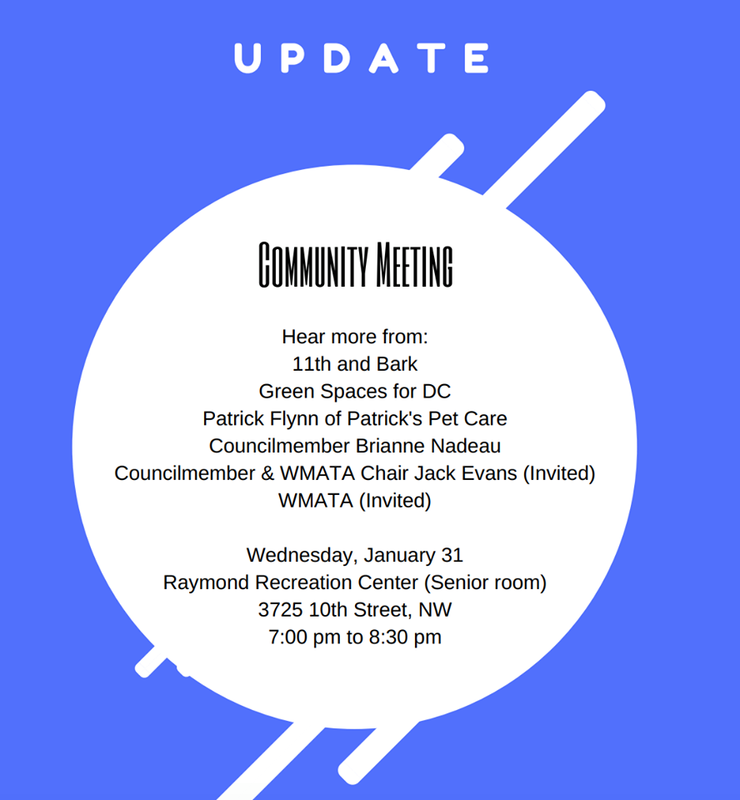 Meeting on Columbia Heights Dog Park Scheduled for Wednesday | Park View, D.C.
Last week, it was learned that the Metro property at 11th and Park Rd, NW — which has been used as an unofficial dog park for years — was one of several properties WMATA would be considering to sell. This has caused great concern among neighbors who regularly use the site. In response to concerns expressed to WMATA and Councilmembers, Metro has postponed their discussion on the 11th and Park site, though still plans to consider it. Newly elected ANC1A06 Commissioner Angelica Castañon has scheduled a meeting on Wednesday night beginning at 7 pm for the community to discuss the future of the property and potential solutions. The meeting will be at the Raymond Recreation Center. This entry was posted on January 29, 2018 at 7:01 am and is filed under Parks and Green spaces. You can subscribe via RSS 2.0 feed to this post's comments.